Easy2Meet® How does paperless meetings with Easy2Meet work? 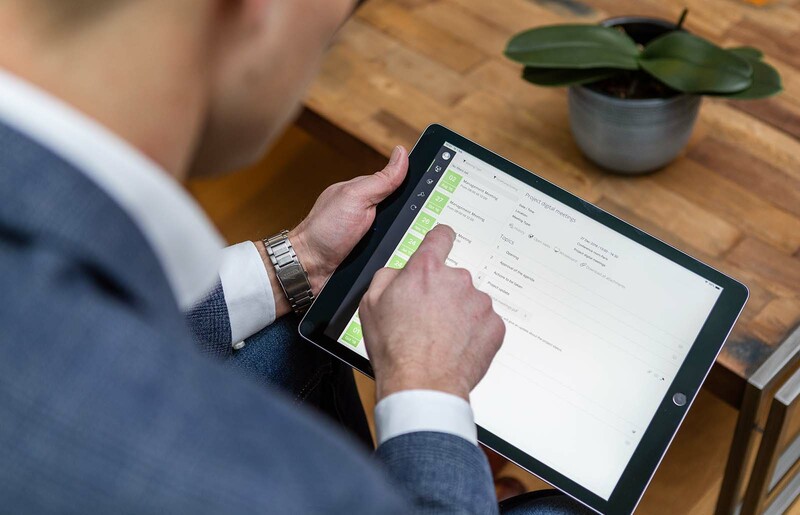 How does paperless meetings with EasyMeet work? Easy2Meet is software for efficient, completely paperless meetings. Developed entirely according to Microsoft's guidelines and roadmap, based on Office 365 and in particular SharePoint. Easy2Meet is a (SharePoint) add-in that facilitates the entire meeting process. It is a shell over your SharePoint environment with all the benefits that comes with it. All this digitally and completely paperless! In addition, a user-friendly app can be downloaded from the various stores. 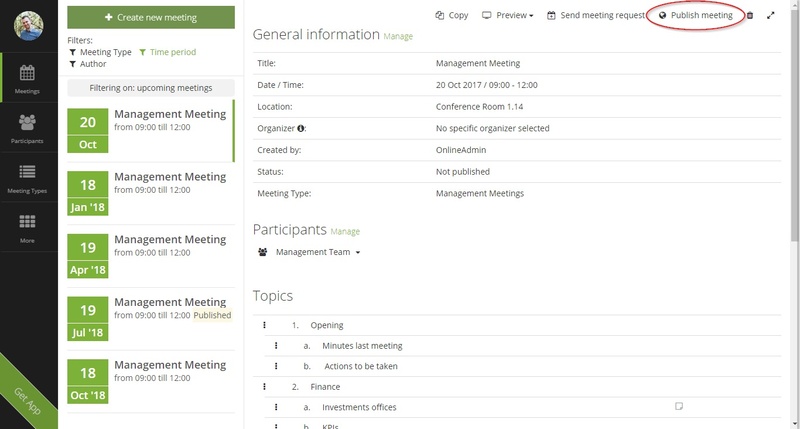 With this app, you can view all your meetings as a meeting participant and participate in the meeting. Within Easy2Meet, a distinction is made between the part in which the meetings are organised, managed and published and the part in which a meeting is participated in. We call these two respectively the Organizer & the Participant. The organizer is the meeting organizer in this case; users are generally secretaries and management assistants. The participant actually speaks for himself: everyone who is invited to a meeting and takes part in it. Choose your meeting template, invite participants, check availability and plan your meeting. 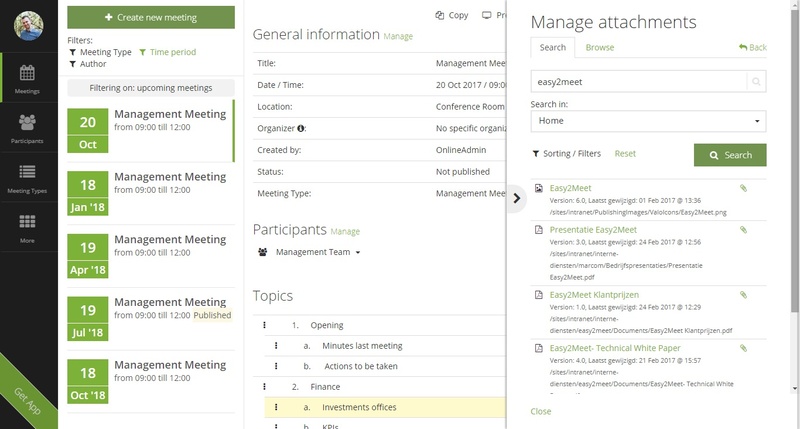 Structure your meeting by ordered topics and easily attach documents from your SharePoint or local drives. Notify your participants by e-mail about updated documents and agenda.